The South American country of Uruguay is 31 days into a new law that requires resident and non-resident entities that have a permanent presence or “their place of effective management” there, or that own local assets valued at more than US$300,000, to disclose the identity of their ultimate beneficial owners. The so-called Law on International Tax Transparency, the Prevention of Money Laundering and Terrorist Financing was approved by Uruguay’s Parliament on 29 December and took effect three days later, according to a report on the website of the Society of Trust & Estate Practitioners (STEP) and other tax industry sources. OECD Common Reporting Standard: Same-old, or something more? Those reporting the information must submit it to the Central Bank of Uruguay (Banco Central del Uruguay), or potentially face “severe penalties”, according to a guest posting on DLA Piper’s South American website by the Montevideo-based law firm, Bergstein Abogados, including fines of around US$23,000, a prohibition on the distrubution of dividends and profits from the undisclosed entity, and the suspension of Uruguayan Tax Office certification. The law also calls for Uruguay financial services businesses, including those that are subsidiaries of non-resident financial entities, to provide information about their resident and non-resident clients to the Uruguayan tax authorities on an annual basis, and introduces measures aimed at discouraging the use of foreign entities located in low tax jurisdictions or that benefit from low tax regimes, the STEP report notes. 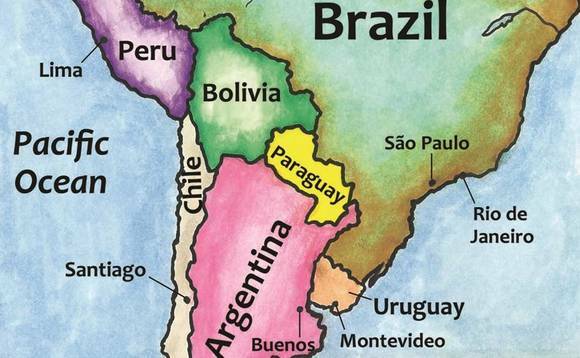 Uruguay has traditionally been more affluent and stable than most of its neighbours, and some time ago became known as “the Switzerland of South America”. Multi-nationals, including insurance companies, have tended to use it as a base from which to launch their South American expansion efforts. Recently, though, as the new regulations aimed at boosting tax transparency suggest, it has been aligning itself with the Organisation for Economic Co-operation and Development and entering into numerous tax information exchange agreements, double tax agreements and has agreed to participate in the Common Reporting Standard information exchange programme in 2018. It is not currently included on the most recent list of the 87 most important international global financial centres, the Global Financial Centres Index, published twice a year by London-based Z/Yen Group.